Each summer there are all kinds of music festivals taking place in locations across the UK and Europe. It’s easy to combine these festivals with a holiday exploring a particular area. If you want to really immerse yourself in the shared festival experience, then camping is the way to go. 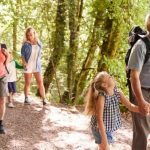 Here are six festivals which offer camping – you can either take your own tent or hire a pre-pitched one with camping gear from the event organisers. This four-day bohemian festival takes place on a remote mountaintop in the Rhodopes Mountains, close to the Greek border. The festival began as a gathering of friends and has grown from there to an event for just 2,000 people. The stages are made with material from the forest, and there are nightly bonfires. If you don’t want to camp, you can book a local homestay in the village below the festival site. Secret Solstice is easily combined with sightseeing in Reykjavik, Iceland’s compact capital. The festival takes place over four days during the summer solstice, when it’s light all night long in Iceland. Festival-goers can book day trips to places such as the famous Blue Lagoon, and activities such as whale and puffin watching. There are side events in some unique locations, including a concert in a lava tunnel, and parties in a hollowed-out glacier. Electric Castle takes place in a historic castle and its extensive grounds in the village of Bontida in Transylvania. 15th century Banffy Castle hosts more than 130,000 visitors for the five-day festival. The festival combines music, technology and the visual arts, with spectacular light shows and a generous food court. Some of the funds raised by the festival go towards the restoration of the castle. Benicassim is a beach resort on the Spanish coast between Valencia and Barcelona. Its annual four-day FIB music festival is a chance to sunbathe on the beach and swim in the sea by day and experience great live music by night. The town’s blue-flag beaches are sandy and uncrowded and the resort is more popular with Spanish visitors than with foreign tourists. Sziget takes place in Budapest on Óbuda Island in the Danube. The huge festival site encompasses a small beach and an array of stages, and hosts up to half a million people during the week-long event. You can easily reach the city of Budapest by ferry or tram from the island, so it’s perfectly placed for sightseeing in the Hungarian capital. 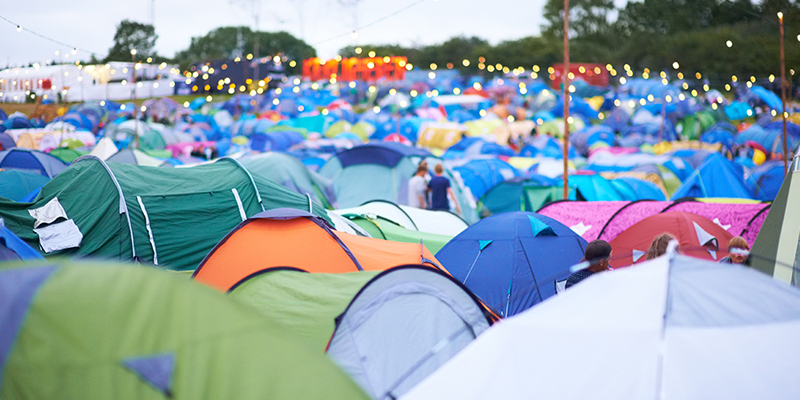 And if you prefer not to camp, you can stay in the city centre and travel to the festival each day. Taking place in the beautiful landscape of the Brecon Beacons, Green Man Festival has a relaxed atmosphere and attracts crowds of up to 20,000 people. This independent music and arts festival began as a gathering of family and friends in 2003 and is popular with families. It encourages festival goers to explore the local area.